Are you in the market for a new water heater? If you are, you’ve probably heard of Richmond in your searching. As Richmond is a subsidiary of Rheem, it has a solid background in advancement and technology within the industry. Quality assurance is a high priority for the main manufacturer, and they are dedicated to ensuring that only the best pieces make it off the line. They expect quality as well as reliability of every product that leaves the assembly line. 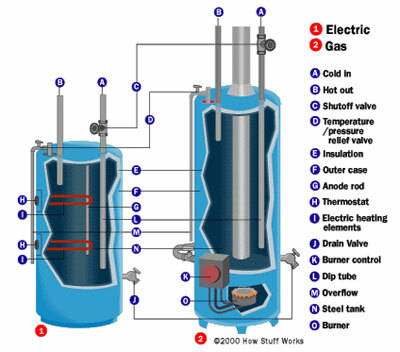 What Is A Richmond Water Heater And How Does It Work? 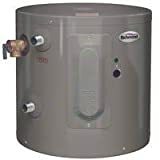 What Makes a Richmond Water Heater Unique? 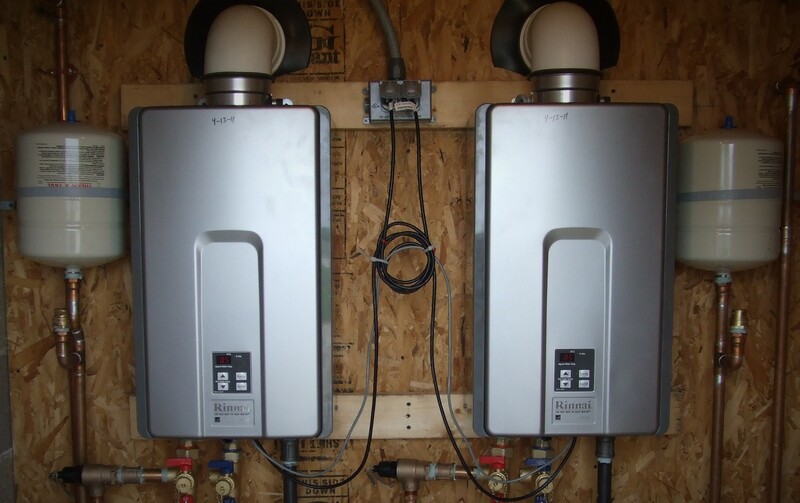 Richmond water heaters come in several different models including solar, gas, and electric. They can also be found in homes and in commercial buildings. The tank sizes along with the flow rates also vary widely which makes them suitable to work for every size and use. Within the Richmond line, you’ll find three different types of tankless water heaters. They are electric, mid-efficiency, and condensing models that can be used in any situation including an entire home. They have the patented EverKleen self-cleaning system that is designed to prevent sediment build-up. 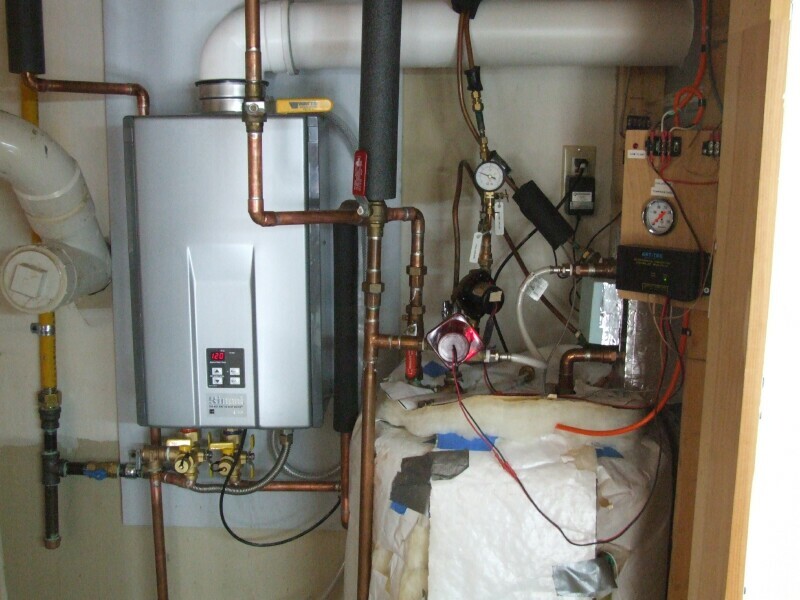 Richmond water heaters also have insulation incorporated into the design in order to retain heat as much as possible. By trapping the heat, energy efficiency is improved. As a result, several units are Energy-Star certified. The same can be said of their gas-powered water heaters. They, too, have a high-efficiency, self-cleaning system inside. Additionally, gas water heaters also have the pilot lights insulated to keep them ready without wasting energy in the process. Solar is an even better option as the energy source is not only efficient, but there is a lack of emissions, which is good for the environment. Your energy bills would also go down because you would be pulling energy from the panels which means you won’t be using traditional energy sources at all. According to Richmond, condensing water heaters are compact solutions that are designed to provide continuous supply of hot water. It doesn’t store fifty gallons, but it will provide you with a nonstop source of the water you crave. This water heater has a digital display that allows you to make precise programming choices regarding temperature control as well as monitoring for the unit. The temperature control is especially useful because it only ever releases water out as needed. That means you can set the temperature and forget it. These function the same way that the condensing water heaters do as they also provide energy-efficient sources of water. 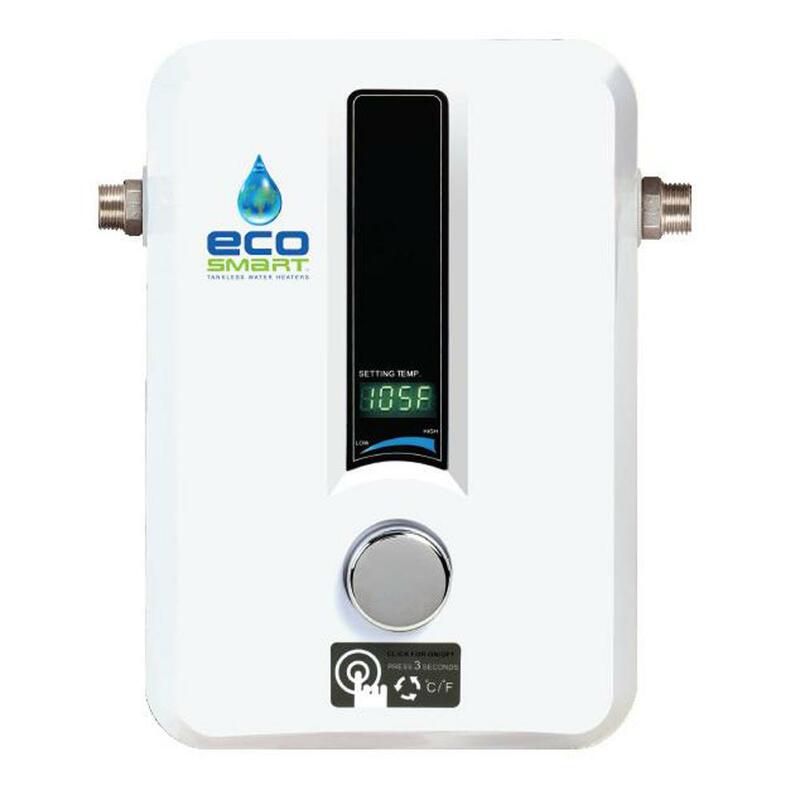 These have a similar digital display and temperature control, too, and it is one of the smallest tankless water heaters on the market. The electric water heaters from Richmond function the same way as the other tankless water heaters. The biggest difference between this one and the others is the amount of water that it can handle. Most of the other units can’t do more than around six or seven gallons of water per minute, but these are different. One of the electric water heaters can actually go up to 8.8 gallons per minute, which is amazing for a larger family. In true tankless fashion, it only heats up water as you need it, so you can rest assured that it is as energy-efficient as its siblings. Richmond didn’t start out as a water heater company but instead came along later as a result of Rheem. The company was founded in the late 1920s with its first foray into the world of water heaters in the 1930s through the 1940s. Over time, Rheem worked to build a reputation that proved the company was reliable in its workmanship. Finally, in the 1980s, Rheem was acquired by Paloma. 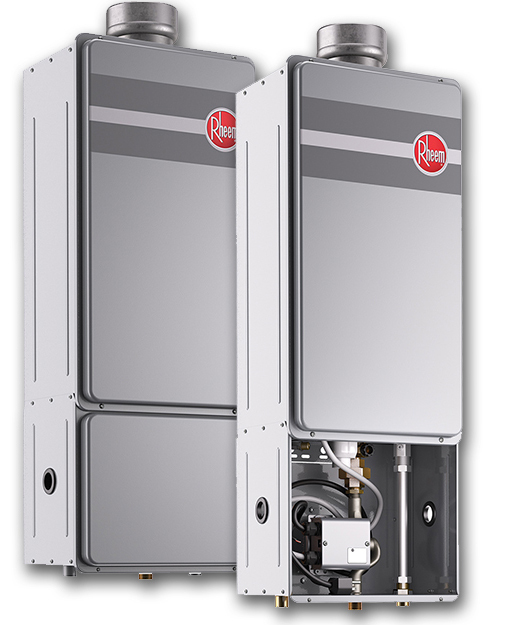 This move led Rheem to be able to push Richmond appliances forward in the market, allowing them to develop their own reputation as being reliable water heaters. One of the things that makes Richmond so unique is that you can find something for any given space where you want to provide hot water. As an example, the Richmond 6EP15-1 is a 15-gallon water heater. This is enough for not more than a couple of people that need hot water. Temperature and water pressure will be fantastic within these limitations, but you wouldn’t want a water heater for a larger demand. It is easier, though, to install this one in a variety of places. Not only is it small and compact, but it will not take up too much space. Most of the water heaters from Richmond are similar in this way because they want to make placement and installation convenient to you. Another model, the 20-gallon 6EP20-1, is capable of handling around three people and a couple of smaller appliances at the same time. The water heater is easy to install, too. If you want to get into the larger models, then you’re thinking of the electric Whole Home 36KW model that has a flow rate of up to 8.8 gallons of water per minute. This is the unit that can handle several people using water in addition to a couple of appliances, so if you need the capacity for that kind of demand, this is the model for you. There are so many more models that Richmond carries that you’d be hard pressed to not find something that would work for you. That’s part of what makes Richmond water heaters unique because they truly can fit any space that you demand. Combine that with top quality, and you’re good to go. One of the neatest things about Richmond water heaters is that you can purchase them on Amazon and have them shipped directly to you. You can find them for just a few hundred dollars. As an example, the Richmond 6EP15-1 Electric Water Heater can be found on Amazon for under $500 without installation fees. If you choose to have someone professionally install it for you, then you’d pay close to an additional $500. The Richmond 6EP20-1 is similar in pricing to the 15-gallon tank. It is also available for just under $500 with the same installation fee. With that in mind, you can get five more gallons for very close to the same price which is worth considering if you have the space. You won’t find every unit online, though, and will need to search for dealers in your area if you really have your heart set on a specific unit. The site is fairly easy to use in searching for a dealer near you. Just input your zip code, filter by store, and state a specific radius you want to search. Don’t be surprised if you don’t find something right away nearby because you may have to drive a little far to find one. On a side note, Richmond water heaters carry warranties that range from six-year policies to twelve-year policies. This varies on the type of water heater as well as the capacity and expected level of efficiency. There are several positive reviews that are on Amazon, so that’s a great place to start checking on the say the public perceives Richmond air conditioners. 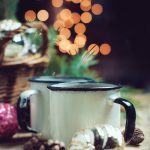 When you start thinking about the kind of water heater you want, there are a few things you’ll want to consider to figure out what you’re going to want to put in your home. For one, you’re going to want to think about where the water heater is going to be installed. To begin to determine where it needs to go, you’ll need to verify where your current water heater is located. Most often, you’re going to find water heaters either in the attic or the basement. Once you know where it is, you’re also going to determine what kind of water heater you have. Do you use it as a whole home unit? How big is the tank? You’ll also need to compare how much water your household needs to the amount of water that a Richmond water heater can provide. Tankless water heaters are fantastic at providing continuous amounts of hot water, but you can’t overwhelm them with demand, or they won’t be able to keep up. That’s standard for every tankless water heater. Richmond also manufactures tank water heaters as well as hybrid water heaters. The tank water heater models hold as much as 120 gallons for a whole-house unit. You do also have the option for a smaller model if you need it. Realistically, a Richmond water heater is one of the best around, and you’d do well to purchase one of these because they don’t compare very well to other tankless heaters. We think Richmond water heaters have proven themselves to be reliable, and due to their vast array of choices, they’re perfect for anywhere. They’re also easy enough to install without necessarily needing a professional if you’re a competent DIYer. If you choose to have a professional install it, be prepared to pay several hundred dollars in installation fees. The bottom line here is that you need to do your homework and be prepared to spend a little more now to save more in the long run if you go with a tankless water heater. If you have any concerns, always consult a professional with any questions you may have to make sure you get everything installed correctly and according to specifications. 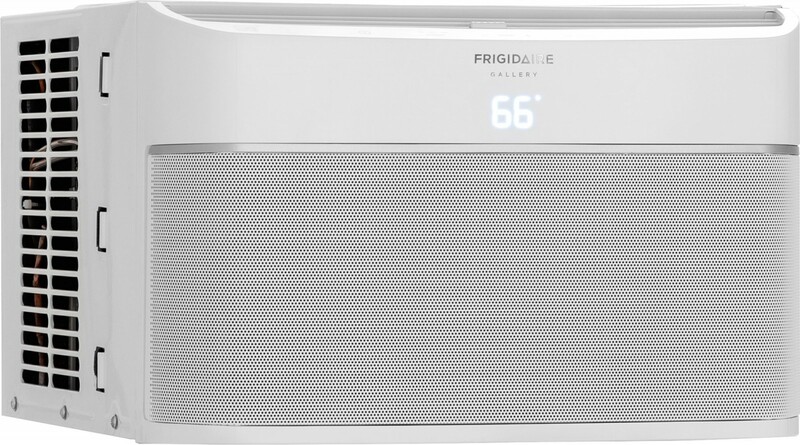 Frigidaire Air Conditioner Reviews: What Makes It Unique? Frigidaire has been around for decades and is an established brand within the household appliance landscape. They have built a reputation for producing quality appliances from refrigerators to HVAC units. The question now remains as to whether or not they still deserve that reputation. We are going to discuss who the company is, what they do, and how the units work to provide you with the performance they’re supposed to. 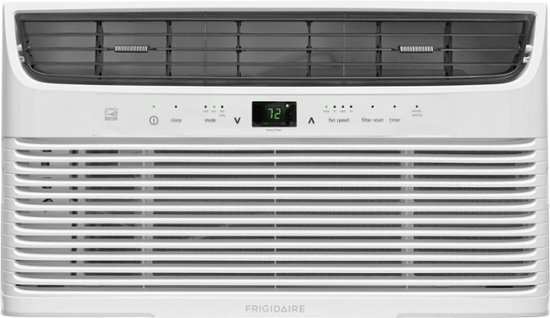 What Are Frigidaire Air Conditioners And How Do They Work? What Makes Frigidaire Air Conditioners Unique? Did you know that Maytag and Frigidaire central air units are identical with the exception being the name on the system? It’s true! A while back, Nortek Global acquired both Maytag and Frigidaire, and the result is a line of units that are exactly the same with an interesting pricing list. Both Maytag and Frigidaire air conditioners use what is called iQ Drive technology. The iQ Drive is a system that allows for inverter compressor tech that offers an ultra-quiet and efficient unit. The way it works is that as the thermostat signals that air conditioning is needed, the inverter compressor will run nonstop. While that may sound alarming, the continuous compressor works at an extremely low capacity with incredibly efficient use of electricity. Increasing the efficiency of the unit with the iQ Drive tech has resulted in extremely precise cooling, a decrease in fluctuating temperatures, and less stress placed on the air conditioner. This translates to savings for you because the HVAC unit isn’t overworking to cool your home. Instead of turning off and turning on, the continuous compressor cycles to push more air or less air as needed to cool. When it comes to dispersing heat, they’re also very efficient. Frigidaire and Maytag air conditioners use what is called micro-channel fin design to disperse heat more quickly. That means that your home will also cool a lot faster than more traditional units. Everyone wants a quality piece of equipment, especially when it costs hundreds or thousands of dollars. You’ll be happy to know that Nortek Global puts their products through a rigorous 144-point inspection before being released for sale. With that said, it’s unusual for an HVAC unit to show up on your doorstep non-functional because of the amount of testing that goes into it beforehand. that makes Frigidaire and Maytag air conditioners unique is the fact that they are available in seven different models that are designed to suit most budgets and spaces. They have various SEER ratings that also reflect the demand that goes into energy-star certified products. iQ Drive technology models, you’ll find one that fits your budget and your space. There are even recommendations that will fit your climate based upon the demands that you can expect. cool and constant even in rising temperatures. On the other hand, if you live someplace that has mild summers, then you’re good to go with a single-stage option like the Frigidaire FSA1BE/ES4BE model. You would be happy to know, too, that all of the models from both Frigidaire and Maytag all meet standards that will give you the opportunity for state rebates and other incentives. You’ll have to check your local state mandates to see exactly what you qualify for, but you’ll be sure to get something in return for having one of these units installed. When you start pricing Maytag and Frigidaire models, you’re going to realize that there is a pretty good spread of what is available. They range from 18000 BTU up to 60000 BTU and pricing is reflected appropriately. You do need to consider which system is going to be best for you, and that is determined by the size of the house you want to cool and how much you can afford to install. The two may not go together for the newest iQ Drive tech units because they are more expensive than traditional units. Systems on their own can run you between $1200 and $3500, and then you have to factor in installation costs. System installation costs include installing the HVAC unit, the labor necessary to do the install, and any extra supplies that are needed for successful completion. These costs can be as low as $2500 or as high as close to $6000 for a full installation. that are less efficient, and the higher end reflects all models that contain the iQ Drive technology. The smaller units are best for a home around 1000 sq. feet. The remaining units range in increments of about 300 sq. feet up from there with the largest unit topping out at around 3200 sq feet expected cooling space. One of the best places to find reviews on Frigidaire air conditioners is over at Consumer Affairs. In fact, this one customer, Joseph from Longview, TX, writes, “I had installed a new Frigidaire HVAC system in my home 11 years ago to the day. The Air Handler motor broke this last weekend, I called the company that installed it and found out it had a 10 year warranty. Well I thought that this is nice, but OK. Then I got a call this morning that the replacement motor is $800 or 25% of the cost to install the entire system, which included a new outside unit, furnace, and air handler as well as the installation. I would recommend anyone NOT purchase a Frigidaire central air system, or at the very least don’t purchase one with the defective variable speed option. There are many units and I saved $350 to purchase this unit over a Trane system. Don’t I feel like an idiot now.” Joseph goes on to say that the issues he experienced in the repair process were a result of the proprietary parts that were owned by Frigidaire along the customer service he experienced as a result of contacting them. He had to wait several days in hot temperatures to finally get the issues taken care of. put in place. It worked well but would use it in a smaller room but we had to use it in a room much larger than the normal use, kept at a setting that kept us from getting too hot and did a great job. We were happy to have it and kept it for other uses in storage. We thank you for making it and keeping us cool at a time of need from overheating. 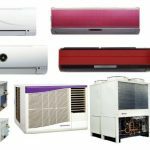 When you go to buy a unit look at getting a unit that do more than you want so that in the future that unit will work in other places of your home or guest house, so that you do not have to get another unit.” It’s important to note that Steve is talking about a personal unit like a window or a portable A/C unit. You’ll see plenty reviews about these types, but not so much about the whole house units. When you are thinking about replacing or upgrading an existing HVAC unit, you want to take the time to compare brands against each other. It makes sense because purchasing one of these is a massive investment. Something Maytag and Frigidaire units have over others is regarding their micro-channel fin design. Several other brands use a similar design, but they tend to leak eventually. Some of the brands that have this issue are Coleman, Luxaire, and York. You’ll be happy to know that Maytag and Frigidaire are not supposed to have this issue. Now, in reading reviews, you’ll find that there are a few units that have had issues in the past. With that said, it is difficult to say exactly where the problems lie. It could be that the people that installed the initial system and those that repaired issues after may have caused further problems. It’s also possible that it was simply a bad system. We think the solid choices for Maytag and Frigidaire air conditioners are the units that incorporate the iQ Drive technology. It’s a fantastic concept that is perfect for warmer climates, and the efficiency is excellent. Above and beyond that, these units also have an outstanding lifespan complete with a reputation for quality. Plus, they don’t typically leak, and that’s always a good thing when you’re dealing with an HVAC unit. The only thing we would caution against would be dealing with systems that are over ten years old. There have been plenty of negative reviews indicating that there are problems that tend to show up after the systems get older, so be prepared for issues if something goes wrong. Overall, do your homework and have an idea of what you’re looking for so you can go forward and select the best option for you.